The office has been contemplating health benefits for some time — like all the time. “How about a bike,” the boss says. “We all have bikes” was the unanimous reply. Living in Palo Alto and having an office here means your transportation choices include walking or riding. If you are thinking about a car, then you’re in trouble. And, for our remote employees and other employees coming who travel to the Bay Area, they get to know the public transportation system really quickly. For everyone, one thing holds true: It’s been proven that there are many health benefits from exercising. The ultimate exercise is had by getting out in the sunshine and taking in a little fresh air. Therefore, taking a bike or walking to and from work provide a dual benefit. Yet, everyone can’t accomplish the feat of getting outside every day. If you love to work you will find yourself at the office more than the gym or the great outdoors. However, this is not conducive to a healthy lifestyle. For our office full of non-stop workers, we knew we had to find a solution. Our office is brightly lit from natural sunshine — a bonus. We have plants — pin a rose on our nose. However, in our coworking office space, we love to stay and work and work and work. Crazy, I know. That is the entrepreneur life. 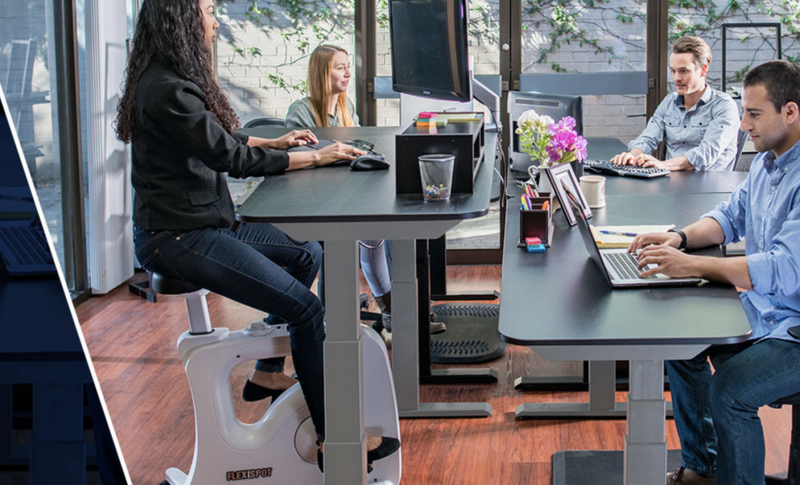 To stay productive but not sacrifice the time we need to devote to health and exercise, we decided to take the FlexiSpot Bike Desk for a spin. We believed the team could get in much-needed exercise time, strengthen our legs and build stamina for potentially commuting by bike, and stay focused on the work we had to get done — all while having fun. What struck all of us in our office about this bike was how easy it was to exercise but not lose track of what we were doing or slow down the pedaling. Instead, it quickly became natural to pedal while typing emails, writing, taking calls, or whatever else we did all those hours stuck at a desk. And, when we wanted to take a break from pedaling, there was plenty of room to stand at the FlexiSpot Bike Desk without the seat getting in the way. Just because we are in the heart of Silicon Valley and are proud of some of the tech solutions we’ve built doesn’t mean putting equipment together is our forte. No matter what level of assembly experience our office had, we all loved putting this bike desk together. That’s because we took the bike out of the box, then the desk, and then we attached the desk to the bike. And, just like that, it was done. No struggle to find the right screwdriver or a headache from ten pages of instructions. The same level of expertise goes into using it, which means we mastered it the first time we all tried it out. There’s a simple lever to adjust the seat. The adjustable desk is just as easy to figure out. The flat part of the desk can be easily adjusted to your comfort level, including moving it forward, backward, upward, or downward. While we may have cranked up the air conditioning a few degrees because we’re all sweating while doing one of the eight resistance levels, the office hasn’t become distracted. If anything, the pedaling sounds is a whisper compared to everyone’s speaking voices. To see how quiet it really was we tested using it while on speakerphone to see if the person on the other end knew we were pedaling along. The only thing that gave it away was our breathlessness. Other than that, this bike desk is whisper-quiet. Our office staff enjoys having this option to exercise while working, and most find they are exercising more than ever. Now, our remote staff has been sending in their holiday wish list with this bike desk taking the top spot. 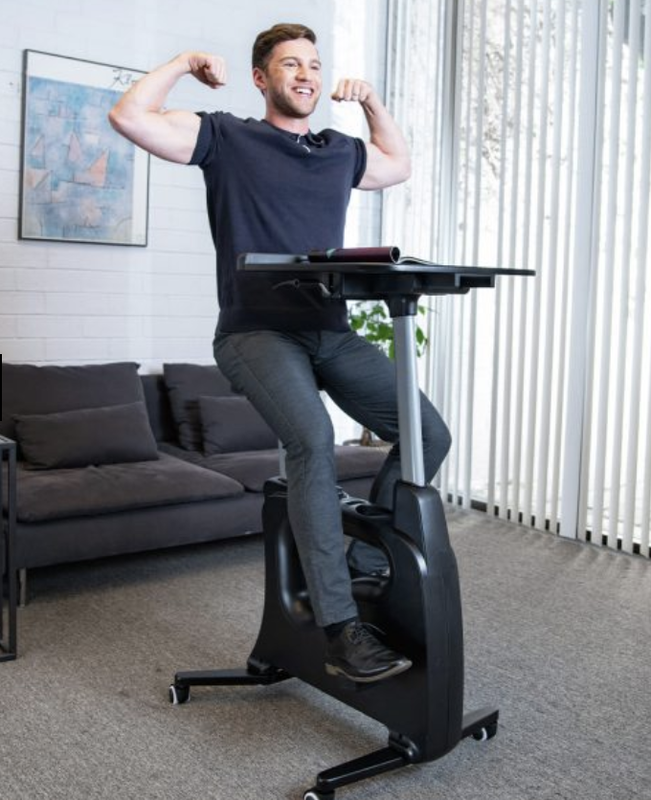 Priced at between $300 and $400 and available on Amazon, this desk bike is a small investment considering the productivity and health returns it delivers. Although it would be great to have some connected features so we could store and compare our biking data for ourselves and our office’s competitive spirit, the bike desk has made us healthier and more productive. And, we’re all having way too much fun at work! Deanna is the Managing Editor at ReadWrite. Previously she worked as the Editor in Chief for Startup Grind and has over 20+ years of experience in content development. 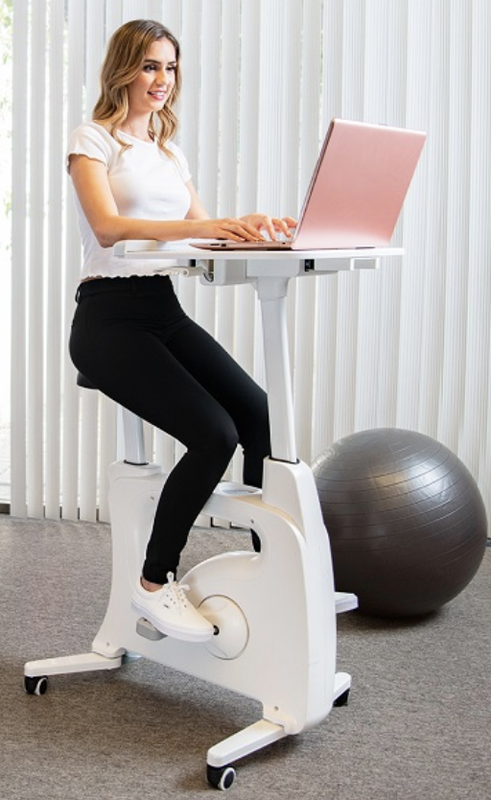 The post Acquire the FlexiSpot Bike Desk for Fun, Not Just for the Health Benefits appeared first on ReadWrite.